Databases used: Pubmed, Web of knowledge, American college of rheumatology. Keywords used: Thoracic hyperkyphosis, spine, definition, epidemiology, etiology, examination, treatment (or a combination of these words). 1. Scheuermann’s Disease : The juvenile form of hyperkyphosis. Defined as a defect of the vertebral body growth plate at the cortical level, results in weakening the vertebral body and causing wedging. It stops at the end of growth, when the growth cartilage is no longer active. 2. 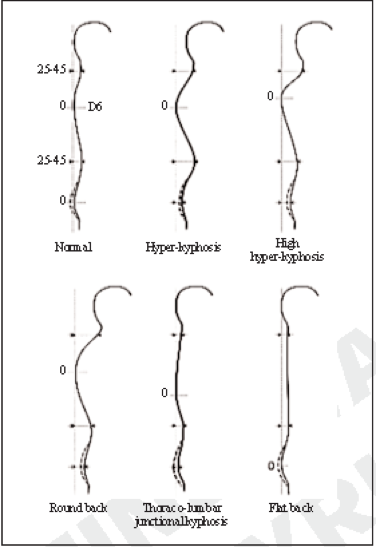 Postural Kyphosis : Most frequent form of kyphosis. 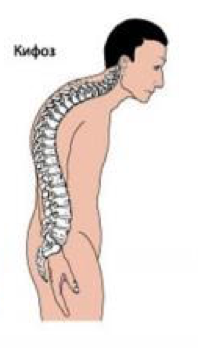 It is a result of poor posture and weakened muscles and ligaments of the spine with no vertebrae deformities visible. 3. Congenital Kyphosis : Bone defect detected at birth. Kyphosis angle will increase if not treated in time. 5. Neurological Hyperkyphosis : Can be a result of the paralysis of abdominal muscles. There is suggested that muscle activation (measured with EMG) has a little effect on the thoracic kyphosis. But thoracic kyphosis is usually the result of osseous asymmetry of the vertebral bodies. ,  These effects increase the possibility of voluntary (or involuntary) postural changes. This is associated with a poked forward head. This is an alignment defect in which the neck is extended on a rounded upper back. And the head is partially tilted forward and upward. 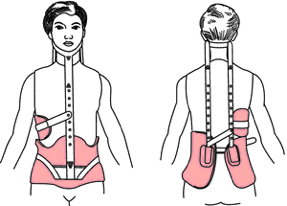 Alignment impairments such as hyperkyphosis of the thoracic spine, can be postural or structural. Patients may also present with a combination of both alignment impairments. • The change in back posture is mostly gradual over time. Structural alignment impairments are fixed alignments of the boney structures that persist, regardless of the position of the individual. Recognition of these impairments and accommodation of the fixed impairments must be made to reduce mechanical stress and pain. Scheuermann’s disease is a typical structural impairment of the thoracic spine. When there is a combination of structural and postural alignment impairments, postural correction may only be partial successful. This questionnaire measures the quality of life in people with life-threatening illness, which includes positive as well as negative factors. It consists of 4 domains: physical, psychological, existential and support. - Increased mortality rates in the elderly. Thoracic kyphosis angle is the most important component in order to diagnose thoracic hyperkyphosis. However, it can’t be measured precisely during global examination. There are a few methods to calculate the angle, the first one being X-rays that will be discussed later on. Another example is the “Kyphosis Cobb Angle”. ,  To measure it, a perpendicular is taken that is extended from a line through superior landmark marking from T4 and an inferior marking of T9. 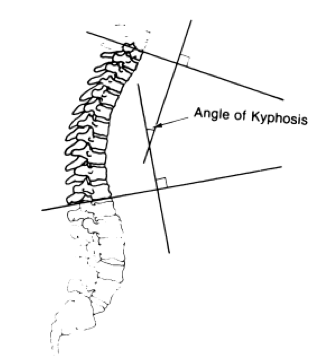 When the angle is between 40-45° we consider it as a thoracal hyperkyphosis. 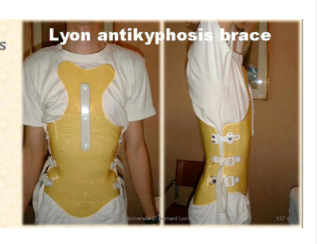 There is also alternative equipment to measure the thoracic kyphosis angles. We can also do some functional examination such as eventual rib cage abnormalities such as pectus excavatum or carnatum, from the back we can evaluate the symmetry of the shoulders, scapulae, thorax, waist and the head. The surgeon can also choose for an osteotomy (a surgical operation in which a bone is cut to shorten, lengthen, or change its alignment.). An osteotomy often gives some good results on patients. Osteoporosis: An osteoporotic thoracic hyperkyphosis can be caused by a collapsed vertebra. This can be treated with a kyphoplasty, whereby a balloon is inserted into the affected vertebra and filled with liquid that hardens to restore the vertebral height.